Need a little extra motivation to get into spring cleaning this year? 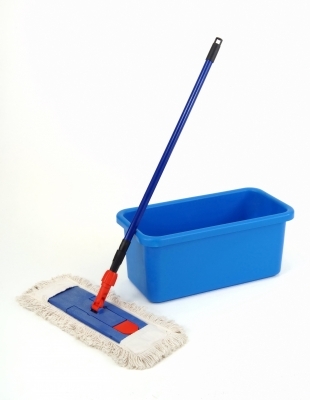 Here’s something: your spring cleaning efforts might affect the resale value of your home. Now do I have your attention? If you’ve got particularly shabby or stained floors, do yourself a favor and call a professional. Otherwise a good scrub and vacuum will do the trick. According to Lending Tree, new floors “can increase a home’s value as much as ten percent,” so try to make yours shine. This should go without saying, but if you’ve got unappealing odors in your home, get rid of them. No potential buyer wants a nasty smell waiting at the front door. Who’d have thought? According to Elms, “an organized closet can contribute up to a 70% return on investment at resale.” That’s a lot of money and, in the grand scheme of things, not a whole lot of work. Spring Cleaning isn’t our favorite activity either, but if it can make that much of a difference on a home’s resale value, it must have some importance. Clean up the house and organize the closet to keep your home at a high value. This entry was posted in Closet, Home, Organization, Storage and tagged Closet, floor, home improvement, odor, real estate, resale value, spring cleaning. Bookmark the permalink.